Some updates have been made to the sample project and OctoPack Battler today! OTB's turn order now flashes across all selected battlers in synchronized fashion. Before, if you selected one, then selected another, with a certain delay, they can become unsynchronized. Now they should flash at the same time! OTB has also been updated for compatibility with KEL YEP Dragonbones Integration. This is thanks to working with Yanfly and Ækashics on making GreenKel's Dragonbones Integration work with the OctoPack Battler plugin. The video shown above also showcases Ækashics' beautiful work: the Crab King Karkinos! 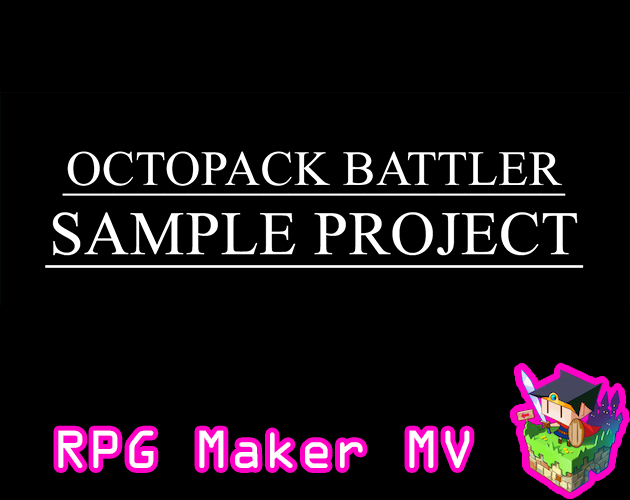 Watch it fight against the heroes of RPG Maker MV! If you are using Dragonbones, you can download the crab king from here! It's so big and tasty! 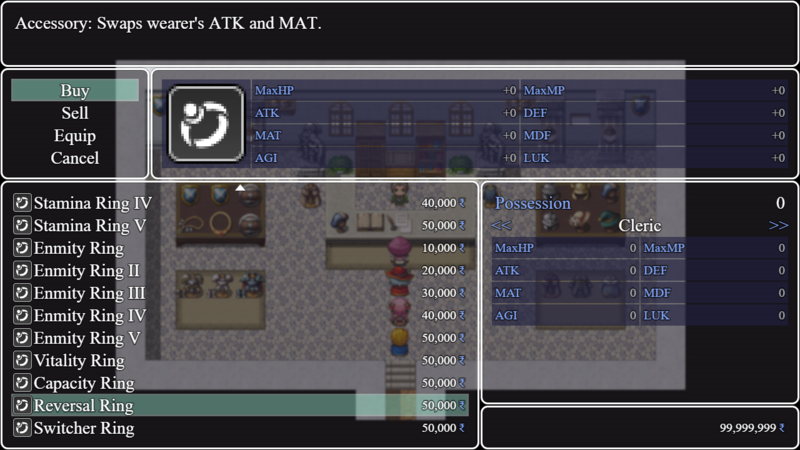 The Battle Effects Pack 2 plugin adds some new functionality to the battle system, including a more visible critical hit effect and rolling numbers. There are also lots of new notetag effects, inspired by Granblue Fantasy, added with it! Also some of the passive effects from Octopath Traveler have been added here, too, like overflow for HP and MP and switching ATK and MAT. I have some classes planned for the future that I may add to the sample project to utilize these new effects. A new shop option is also added to the sample project! You can talk to the armor shop keeper and selected Accessories II to get a list of the new items with the Battle Effects Pack 2 notetags to test out. The Stamina Rings will give more ATK and MAT power depending on how high the wearer's HP percentage is while the Enmity Rings do the opposite: lower HP percentage means more power. The Vitality Ring allows the wearer to heal more than their MaxHP and the Capacity Ring lets the wearer recover more than their MaxMP. The Reversal Ring swaps ATK and MAT and the Switcher Ring swaps DEF and MDF! Please take your time exploring the new features!